If you are seeking ways to boost your retirement funds, here are a few things you can do! Start early! There is power when you start early due to compounding. If a 20-year-old sets aside $2,000 annually, assuming an interest rate of 6%, at the age of 65, he will have approximately $425,000. Whereas if that same 20-year-old waits until he is 40, doubles his money and set aside $4,000 per year, assuming the same interest rate, he will only have approximately $147,000. Also, starting early is great, because it allows you to build a habit of saving from the beginning. If you are a self-employed individual, you may not have the option of a 401(k) plan. Therefore you may want to consider establishing an Individual Retirement Account (IRA). An IRA allows individuals to set aside funds in an account for retirement. For the year of 2019, a person can contribute the greater of $6,000 ($7,000 for those 50 and older) or your taxable compensation for the year – to save more consider a SEP IRA. Keep in mind, the great thing about an IRA, you may be able to take a tax deduction to reduce your tax if you contribute to a traditional IRA. If you have been working for quite some time and you just find it a little bit hard to save for retirement, here are a few things you should know: Participating in your company’s 401(k) plan not only helps you save for retirement but can also reduce your tax liability as well. Keep in mind, for each dollar you contribute that dollar is not taxed. Many companies may offer a matching option that allows participants to save more. So essentially you are getting free money to participate. 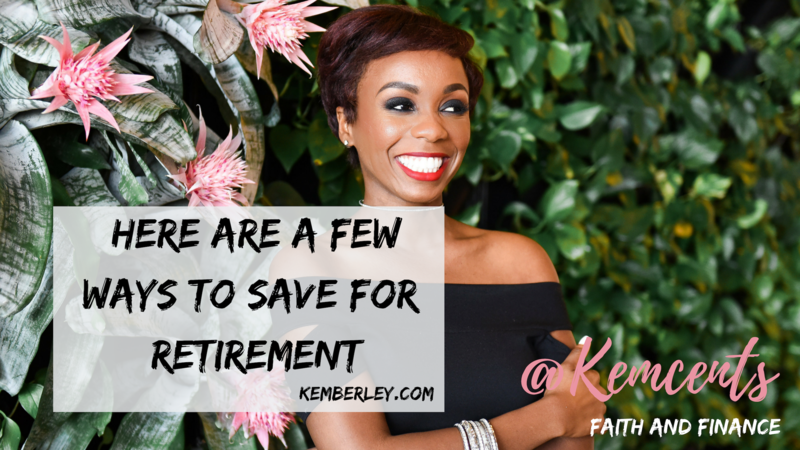 Finally, learn how to live off less, this may mean reviewing your budget and deciding to forego certain expenses to ensure you have funds to set aside for retirement. Keep in mind, you have until April 15 to contribute to your Individual Retirement Account (IRA). Therefore, if you are working on your taxes now and have a tax liability, this may be a way to reduce the amount due! 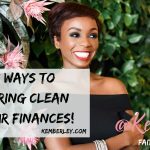 Kemberley Washington is a certified public accountant (CPA) and owner of Washington CPA Services LLC. She writes a blog at kemberley.com and have authored several books! Follow her on any social media platform at @kemcents!